ORNL DAAC’s MODIS Web Service has been updated to a RESTful Application Programming Interface (API). 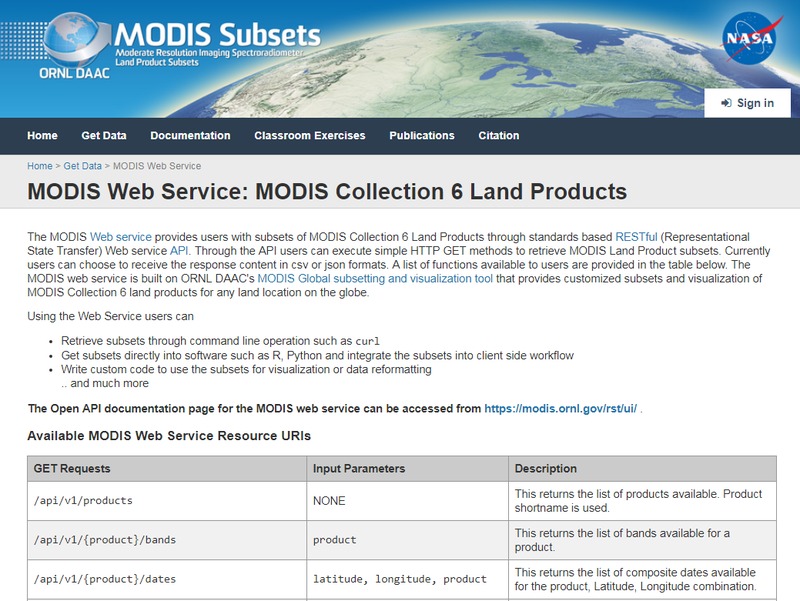 The MODIS Web Service can be used to programmatically retrieve subsets for a variety of MODIS Collection 6 Land Products for user-defined areas and time periods. The updated MODIS Web Service offers improved performance, simplified client solutions, standards-based specifications, and responses in either CSV or JSON format. Example calls to each web service function are provided at https://modis.ornl.gov/rst/ui/.